Why is Mount St. Helens the most active volcano in the Cascades? Here's why Mount St. Helens is located so far away from other Cascade volcanoes and why it's one of the most active in the chain. New research offers clues as to why Mount St. Helens is one of the most explosive volcanoes in the Cascade range and why it stands apart from the chain of other Cascade volcanoes. Scientists from the U.S. Geological Survey, Oregon State University, and the University of Canterbury in New Zealand found that the mountain is sitting right on top of the spot where two tectonic plates were welded together millions of years ago. That created a weak point where magma can rise up through the crust. “These volcanoes are built upon all the accumulated tectonic events of the past which has left cuts and bruises and scars, and that complexity can really influence the volcanoes and the hazards that we face today,” said Paul Bedrosian, a U.S. Geological Survey scientist, who was one of the authors on a study released this week. 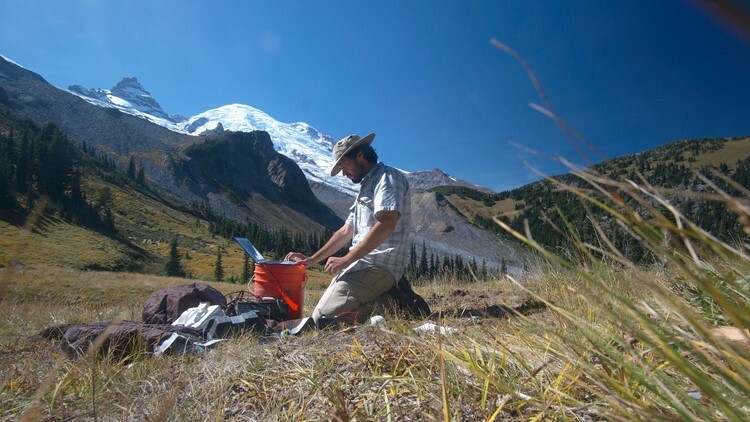 Scientists used data from stations near Mount St. Helens, Mount Rainier, and Mount Adams to create a 3D image of how well rocks conduct electricity across the region. 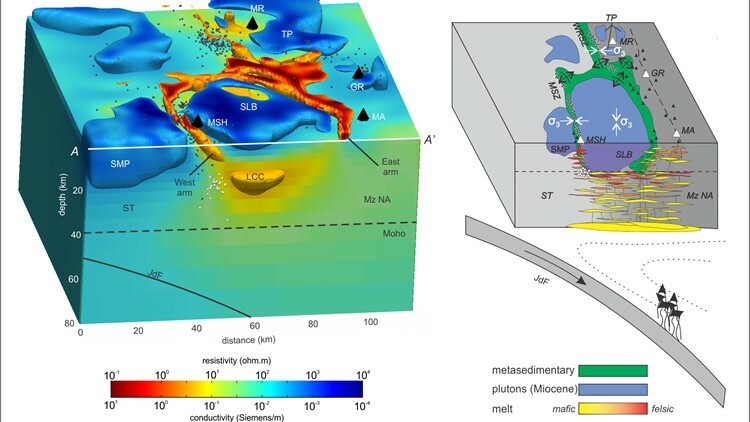 This map helps them better understand the structure beneath the volcanoes and led researchers to pinpoint the scar beneath Helens. The volcano’s location has previously puzzled scientists, because it sits about 40 miles west of the main line of Cascade volcanoes, such as Mount Rainier. This study found that the area between Mount St. Helens and the main line of Cascade volcanoes is like a plug that keeps magma from getting through, explaining the lack of volcanic vents. Mount St. Helens was formed about 275,000 years ago, according to USGS. It last catastrophic eruption was in 1980, spewing ash, rock, and hot gas and triggering the deadliest and most economically destructive volcanic event in U.S. history, according to the National Oceanic and Atmospheric Administration. The mountain isn’t the only volcano that has formed in an unexpected location. Bedrosian said scientists hope to study other Pacific Northwest volcanoes, such as the Boring Lava Field near Portland, that haven’t been active in historic times.